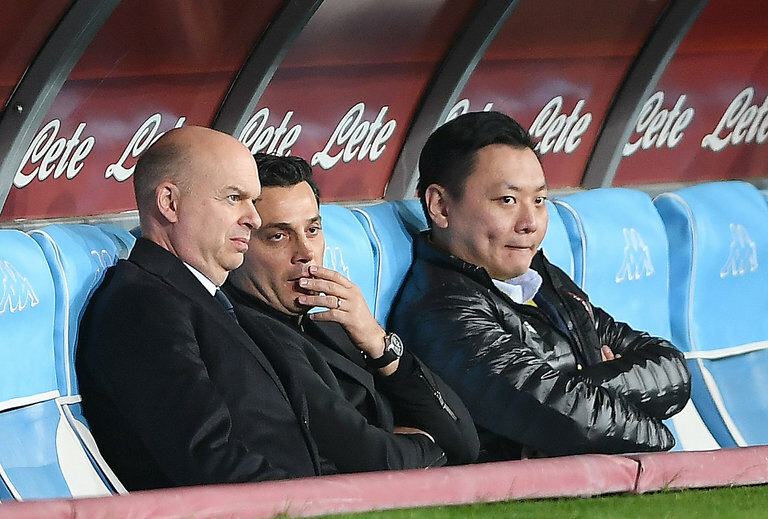 Milan’s chief executive, Marco Fassone, with the team’s coach, Vincenzo Montella, and the team director David Han Li before a match on Saturday. Milan is trying to persuade European soccer’s governing body, UEFA, to grant it a waiver from so-called financial fair play rules. A.C. Milan is European soccer royalty, its global popularity driven not just by its 18 Italian league championships but also by its seven European titles. Those glories seem long ago these days — the last of Milan’s European Cups was won in 2007 — and now a financial crisis threatens to delay the club’s return to the top even longer.